Actress Toni Gonzaga was a perfect June Bride when she exchanged vows with the dashing director Paul Soriano. It was indeed a perfect wedding for two individuals who are perfectly made for each other. The couple compliments each other as they are bounded by the love that they strongly felt for each other. 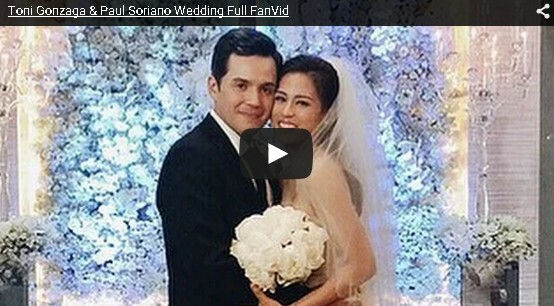 Paul and Toni’s wedding is a dream wedding that every woman would want to have. Toni looks so elegant and fabulous with her delicately made wedding gown. Paul, the handsome and debonair groom was full of emotion as he waited for his beautiful bride at the altar.